which is a leading producing company with years of experience in the production of aesthetics. 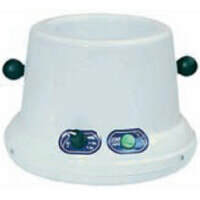 ​with qualified appliance methods which are all proved and marked FDA/CE. which we constantly are offering our clients in order to satisfy their needs. Based on the principle that customer’s interests always come first , SIE Depil has managed to gain a good reputation worldwide. ​We constantly invest to develop new and advance products to be able to meet the demand of the current and the future international market. Traditional wax heater with chamber of 10 cm in diameter. Good themostat, 120W power. Suitable for 800 ml pots. White colour. Practical, elegant and safe one-seat base. Equipped with supply cable. White colour. (Wax heater handle not included). Practical, elegant and safe three-seat base. Equipped with supply cable. White colour. (Wax heater handle not included).